Hi! I'm Anne Popolizio, founder and owner of Social Squib. 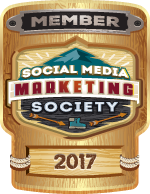 Social Squib is a digital marketing and communications company that specializes in small businesses and non-profits. Our mission is to help you find your people and build your community. ​We understand your needs and create custom digital marketing solutions tailored to you and your audience.